India's premier business and finance blog. We research on stories that shape India and it's place in the world. The inception of RuPay is linked with the vision of financial inclusion. If India as a whole wants to progress sustainably, it requires robust financial systems in place. Before RuPay, debits card networks run by MNCs only focused on Tier 1 and Tier 2 cities. People transacting through debit cards would complain about lack of financial infrastructure in the district heads and rural areas. RuPay acted as a digital enabler for small towns and especially in those areas where banking network was not available. RuPay is a brand name of National Payments Corporation of India. 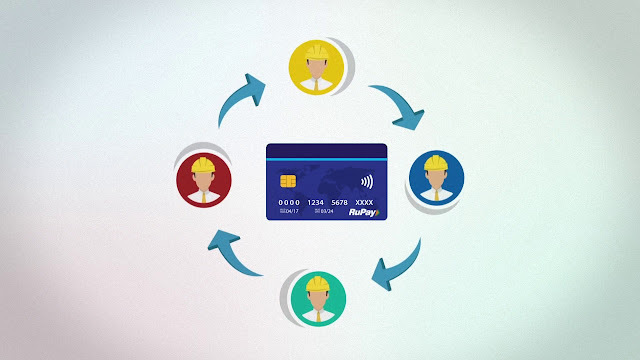 RuPay has been conceived to fulfil the vision of Reserve Bank of India of offering a domestic, open-loop, multilateral payment system to all banks and financial institutions in India. A truly ‘Make In India’ initiative for all 126 crore Indians. Since inception in 2012, RuPay has been instrumental in creating a less-cash economy and furthering the electronic payment system to make India a financial inclusive economy. 2014 had been a blessed year for India and National Payments Corporation of India. With the launch of Pradhan Mantri Jan Dhan Yojana, ordinary citizens of India got an opportunity to open basic zero balance savings account. Earlier, a banking account was considered a sign of elitism and an instrument only for people with worthy savings. Along with Jan Dhan account, holders were introduced with a RuPay card for transacting digitally. 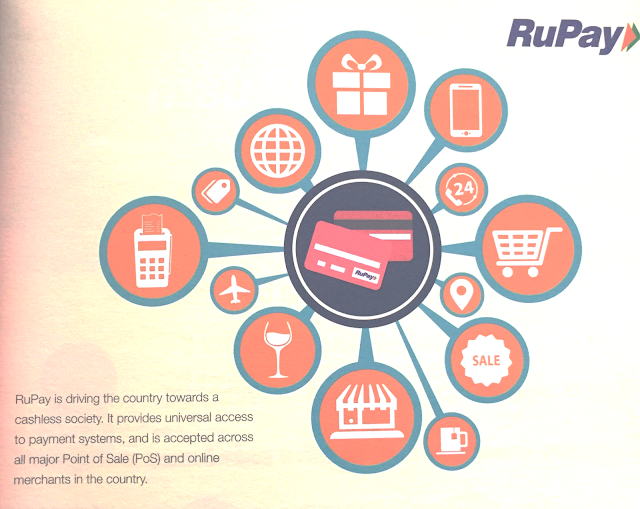 Expanding the base of RuPay cards and ATM network nationally was soon a priority. With this introduction, India witnessed a paradigmatic shift of an account holder from being a branch visitor to a more independent customer who is able to use an ATM and self-help kiosks. This was a major achievement not only in rural areas but also in Tier I cities that included senior citizens being more tech savvy. The success of RuPay is closely associated with the progress made by PMJDY. Bank accounts opened through PMJDY envisages universal access to banking facilities with at least one basic savings account for every household, financial literacy, and access to credit, insurance and pension facilities. These measures will help the unbanked poor become a part of a formal financial system and take them out of the clutches of unauthorised money lenders. Within months, 12 crore Jan Dhan accounts were opened making it a new world record. Jan Dhan, Aadhaar and Mobile are the three words changed ‘the way we pay’. To ensure last mile reach, the government encouraged people all from the sections of the society to open a bank account and use RuPay debit card. With 40 crore Aadhaar linked accounts, more attention was given to ‘the way we pay’. The success of RuPay will further continue with the rise of new payment banks. Standardised card scheme for all banks in India. 380 + million RuPay cards issued by 800+ participating banks. #MakeInIndia initiative for 126 billion Indians. All regional rural banks and major state co-operative banks are offering RuPay cards. Dual verification process through OTP makes it secure. Platinum Credit cards come with benefits such as access to International Interoperability with RuPay Select along with an Insurance cover of INR 10 Lacs. 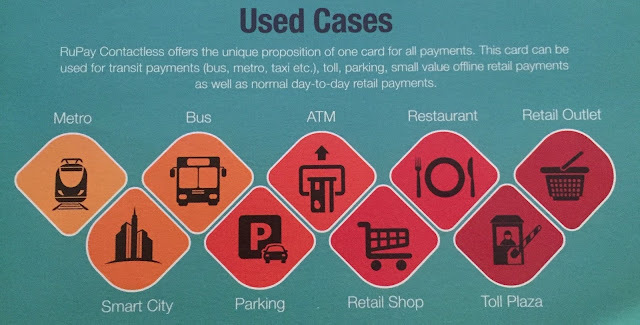 Under National Urban Mobility card scheme, the Government of India envisages a single card for all payments of tickets for transports like Metro trains, Monorails, Indian Railways and State Transport buses, as well as normal day-to-day retails payments. NPCI has developed RuPay Dual Interface contactless specification, that are EMV based, open standards, interoperable and scalable in nature. The card supports contactless transactions in both online and offline modes; adhering to the Smart City guidelines. Such cards can be issued on Debit, Credit or prepaid platforms. Since the offline transaction is permitted against available balance, there is no risk of loss to the bank. With innovation at the forefront, NPCI is fast forwarding India into the digital age. Indian electronic manufacturers to get competitive edge from the hike in import duty. #MakeInIndia - Why Manufacturing matters the most?